Forget shopping for your men swipe down for Dolce! tinder STYLE SHOPPING APP HAS LANDED! 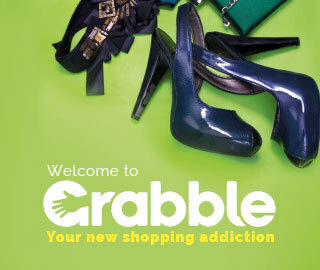 From selfridges to topshop you can find your fashion match on grabble! It’s so easy to use. You set your discovery such as brand, price and colour - and get swiping. Every time you swipe right for an item it will be saved to your ‘Grabs on the Go’ collection. The 'sale alert’ function allows us to be first in line when our favourite 'Grabs’ go down in price. So get Grabbling and let me know if you like it?